These past few weeks, my face is getting really sensitive so I stop using new products and stick to my routine. That's why it takes long time to get this things right. 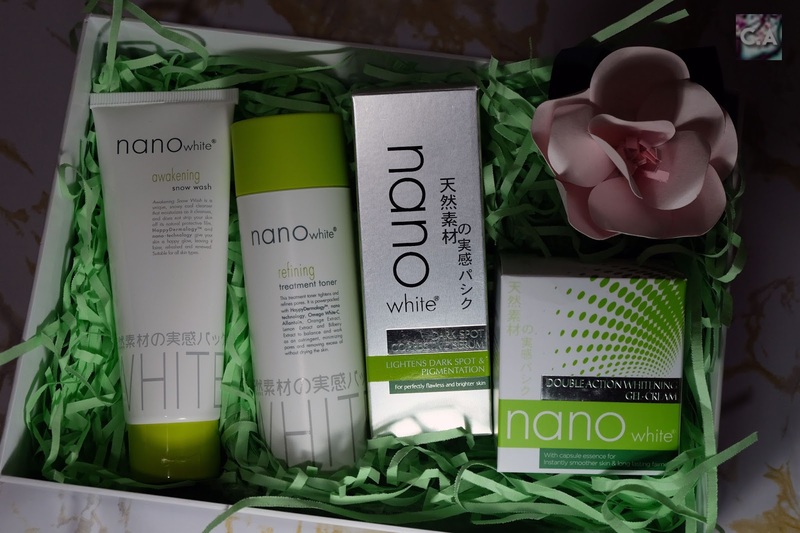 My only hope for today is to make sure that this Nano White product will soothing out my skin so I could do more beauty product review on my blog soon! Complete set of Nano White products, but the newest one is the Dark Spot Corrective Serum. Have you heard about brand named Follow Me? If yes, this two brand is running by the same company which is Tohtonku Sdn Bhd. If I may say, Nano White is one of drugstore brand in Malaysia that received tons of good review but I never tried it once. 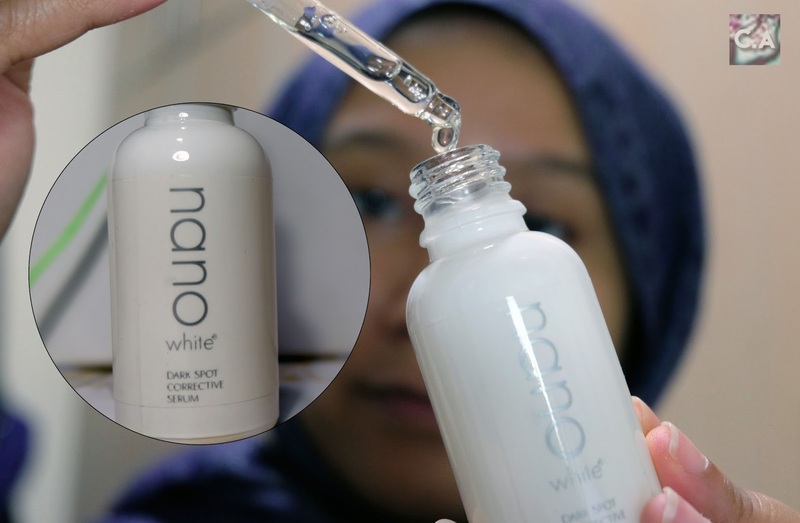 According to the company, Nano White is mostly consist of comprehensive whitening skincare range that used technology called 'nano skin-happy' with 'happy' endorphins. So, I'm really excited to tried the products that they sent me for review (Thank you Fakhira and team!) especially when they released new product which is the Nano White Dark Spot Corrective Serum. Let's see if this bring miracle to my skin. After exposing to outside world, cleansing is important to get rid dirt on the skin. It takes time to find the right cleansing but if you are newbie or just want to try a drugstore product, this product would be for you. The texture is very soft and effectively cleansing as well. Awakening snow wash is a unique snowy cool cleanser that moisturise as it cleanses. Other than that, it will not get rid of your natural skin protector and its supposedly to make your skin looks brighter, fresh and healthy. Most important, it suitable for any type of skin. Cleanse the face to get that fresh, bright and healthy skin look. I like this face wash because the texture is soft and actually get rid of my dirt efficiently. In terms of brightening, it does do that and my complexion is better than before. If you want to see my before and after picture, make sure to scroll down below. Tone with refining treatment toner. After cleanse, make sure to tone your skin like your normally would. Sometimes I just pour some product to my hand and dab to my skin, but most of the time I used cotton pad to tone. This product claim to work as an astringent, minimising pores and removing excess oil without drying the skin. The toner contained of HappyDermalogy, nano technology, Omega White-C, Allantoin, Orange Extract, Lemon Extract and Bilberry Extract which act to what it claims. I have tried different types of toner, there are some that dried out my skin, some were pretty moisturising. But, if I heard that it would bring good to my pores I will eventually tried it. For this product, my only feedback is it doesn't drying out my skin. If I really want to see a differences on my pore area, I need to used this at least for one month to get the ultimate feedback. But, so far I'm loving it! Highlight for today is this newest product from Nano White. It's clearly the new one because they still didn't update any information of their website. At first, serum is just an additional products, but now all of us see that serum is part of skincare routine. From my understanding, serum act as boost for your skin. After you done cleansing and toning, make sure to apply this serum evenly to the face before using day or night moisturiser. Then apply to another layer over areas with spots. This products claims to have an effective whitening concentrate that penetrates deep into skin. To clear dark spots and other skin discolouration, resulting in brighter and more even skin tone. Last month, I get to try Hermosa 24K Gold Serum and today I get the honour to test Nano White Dark Spot Corrective Serum which have tons of goodness for the skin. My first impression that this serum have earthy smell and I think its the same for all the Nano White products (their signature fragrance). Other than that, its very watery and dissolves into my skin really quickly. So, I don't feel any stickiness and fresh throughout the day. 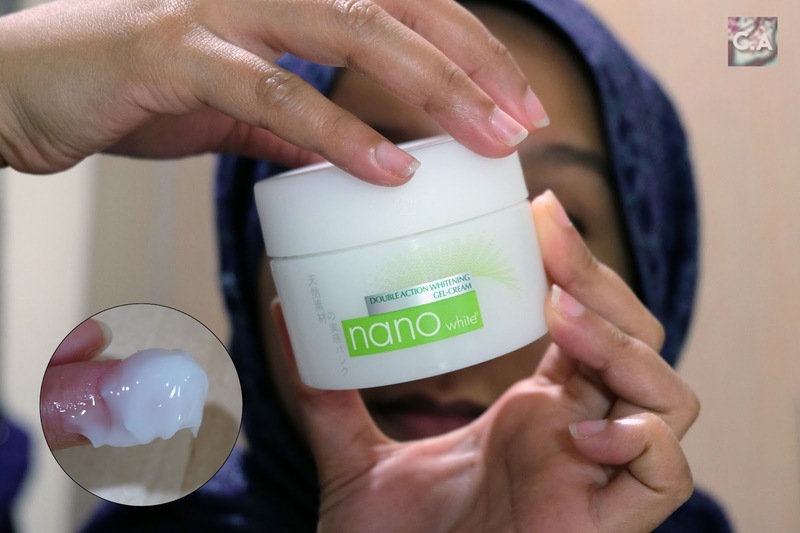 Nano White Double Action Whitening Gel-Cream. After last face treatment session at One Doc Medical, I get rid most of my cream based product and switch to gel cream because that was the beautician recommend to me. When I first received this products, I encountered some minor issue so they resend me back the new one (Thanks Fakhira and team once again!). Lesson learned that if you encounter a suspicious things about the product, don't used it and make sure to get the item change or refund. Back to the moisturiser, it contains concentrated Vitamin C and Vitamin E to deliver maximum brightening effect and prevent oxidation for longer lasting fairness. To be honest, there is nothing wrong with this product, it moisturising especially on my left eye area where it get very dry there. The small beads actually dissolves once you blend it and for eight hours it keeps me moisturise. After moisturising it is important to apply your sunscreen to protect your sking! Before and After using the complete range product. 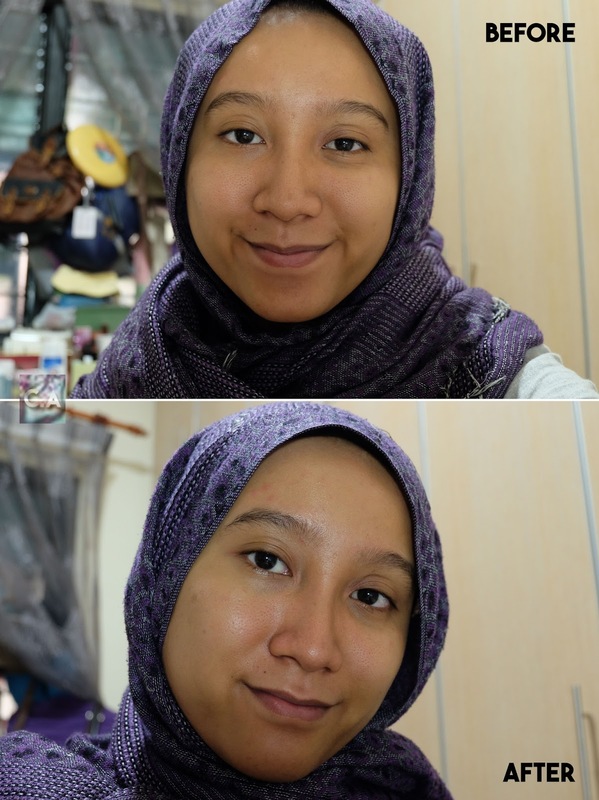 Overall, I'm satisfied with all the products because in this hot weather in Malaysia my skin tend to be dry out. 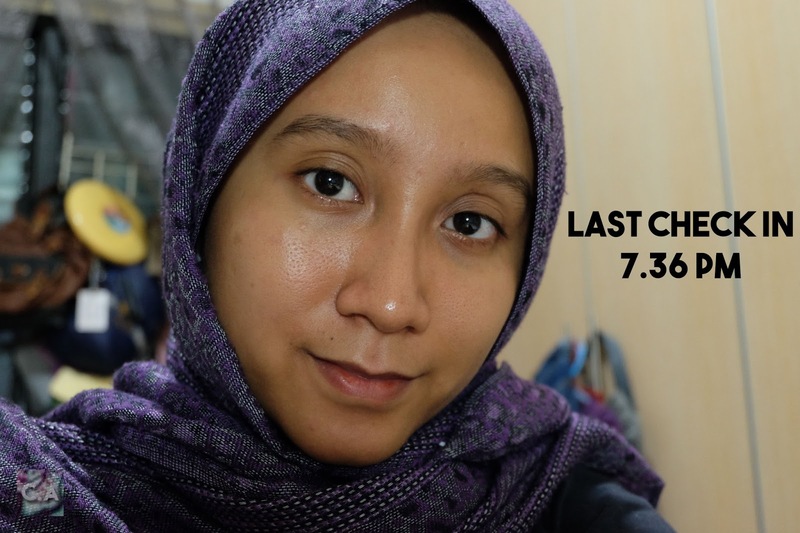 But, for eight hours, this skincare routine helps to moisturise and it doesn't make my face looks oily (refer to my last picture below). I will absolutely repurchased this four products again if I just want a simple four step skincare routine. If you are keen to try this products, Nano White is easy to grab at your nearest Watson or Guardian shop. Thanks for the review. 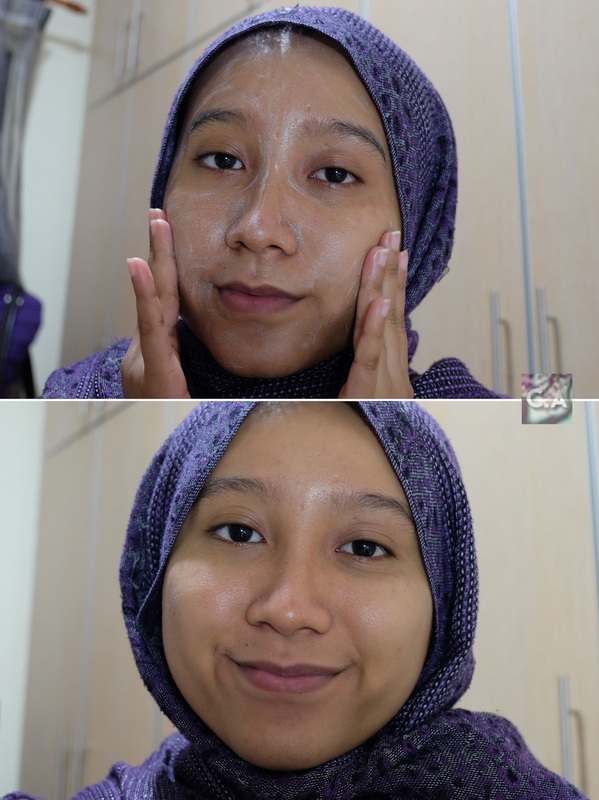 I've been using nano white products for 2 years straight and it didn't disappoint me at all. I didn't regret buying it 'cause it's only doing great things to my face like making it more brightener and ofc moisturize my skin too. I totally suggest this product to whoever with dark complexion, spots or even dry skin. Continue doing the routine and you will get better results each time. hi, may i ask, this skincare nano white is natural product?